Where Bartenders Drink is THE insider's guide. The best 300 expert drink-makers share their secrets - 750 spots spread across 60 countries - revealing where they go for a drink throughout the world when they're off-duty. Venues range from late-night establishments and legendary hotel bars to cosy neighbourhood 'locals' - and in some surprising locales. The 750 expert recommendations come with insightful reviews, key information, specially commissioned maps, and an easy-to-navigate geographical organization. 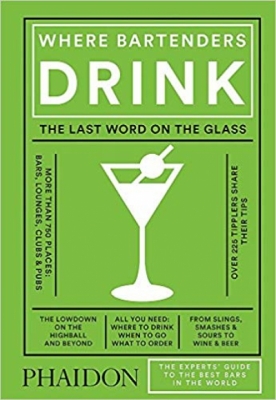 It's the only guide you need to ensure that you get the best drinks in the most memorable global locations.